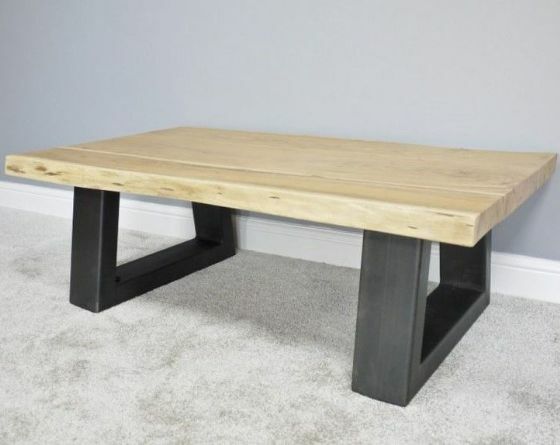 Each table in unique in shape and texture due to the natural materials used. The tops are made with acacia and the legs are iron. 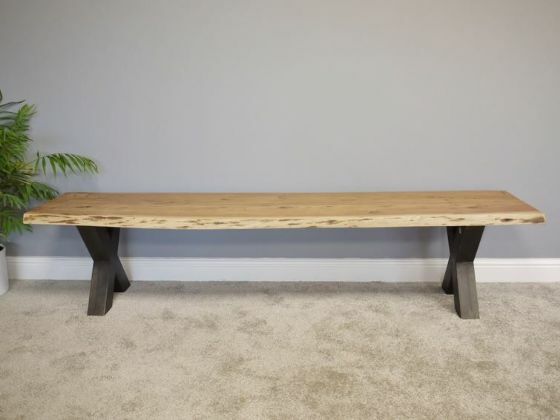 This is a very heavy piece with a beautiful combination of the iron legs and the natural softness of the live edge top. Due to the nature of the wooden tops, all measurements can vary slightly.